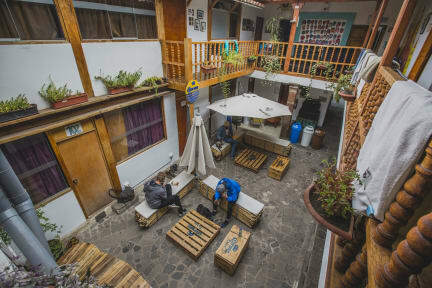 Kokopelli Hostel Cusco kohteessa Cusco, Peru: Varaa nyt! The hostel itself is amazing, and the breakfast is the best one i've ever had in a hostel! You can even have it in a box if you leave early in the morning. However, the first day when we got in they had given our beds to someone else and tried to make us pay for a more expensive room even though our reservation was for cheaper beds. This happened again when we got back from Machu Picchu, so I guess it's fairly frequent. After all we did get the cheaper price but had to change rooms every night.